Hello guys, Ulefone has recently released a new smartphonecalled Ulefone Armor 5. This phone comes with amazing features. 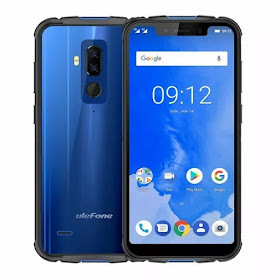 Ulefone Armor 5 spots a 5.85-inches screen, 4G LTE enabled, rear-mounted fingerprint scanner, dual rear camera of 13MP + 5MP with dual flash, 8MP front facing camera without flash. Price $179 in USA / N67,000 in Nigeria. coupled with a 4GB RAM as well as 64GB storage and 5000mAh battery capacity.